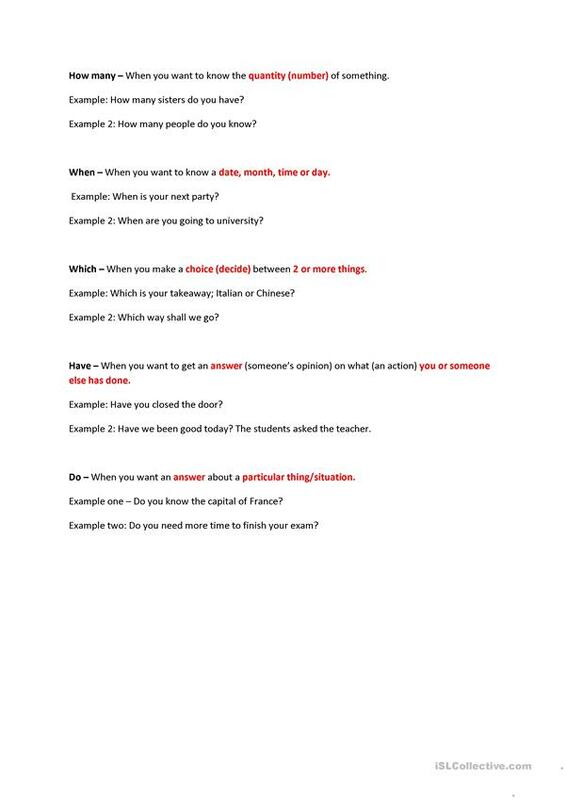 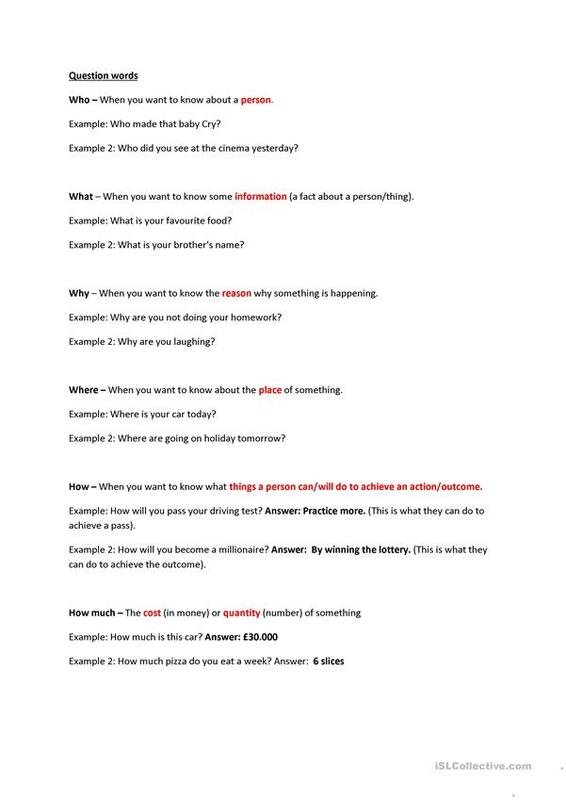 A worksheet I devised myself for asking questions in English and then answering them. The present downloadable worksheet is best suited for high school students, elementary school students and kindergartners and nursery school students at Beginner (pre-A1), Elementary (A1) and Pre-intermediate (A2) level. It is great for practising Question tags in English, and is excellent for improving your class' Speaking, Reading and Writing skills. 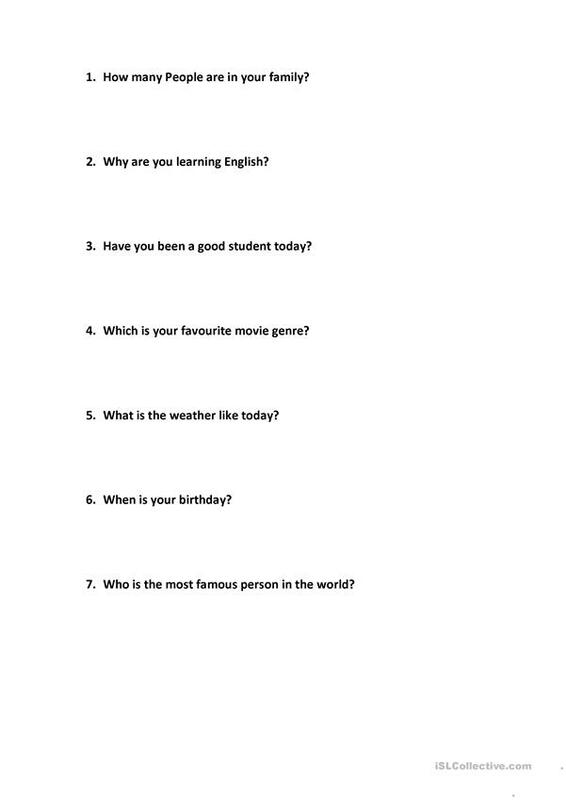 hurrimark is from/lives in United Kingdom and has been a member of iSLCollective since 2012-02-19 23:44:59. hurrimark last logged in on 2012-12-17 11:27:10, and has shared 7 resources on iSLCollective so far.